After a car accident, the instant thought your mind follows is “How much does it going to cost me?” It is wise to take certain steps now to abstain yourself from expenses such as hospital bills or repair expenses after a collision. Insurance TopUp is a right insurance company in UAE that provides you most reliable car insurance quotes all around UAE with lower premium. We help you buy car insurance online as we are collaborated with the best insurance companies around the globe. While living in UAE, you must be aware of the insurance laws which have made car insurance policy mandatory for every car owner to purchase. Here we have explained few basic things to consider while choosing the right car insurance policy in UAE. Going through it, you will understand the difference between the insurance policies and also the most appropriate policy to choose from according to your demands. – Have a read! Do not go blind to choose a policy. Many car insurance companies in UAE present their policies in a fancy way. Many of the times, people do not keenly read the clauses which later cause their head to spin. It is recommended to first look into your needs, the amount you are willing to pay, the terms & conditions regarding every policy. Make sure to check the coverage the opted policy provides to your vehicle. This is the most important thing to consider towards your venture. You must understand the difference between the categories of insurance policies prior to committing to any of these. There are two types of vehicle insurance policies: Comprehensive and 3rd party liability. Comprehensive car insurance is the answer to your every solution. In case of accident, all types of expenses from medical to repairs are covered under this policy. Providing a wider coverage makes it expensive which is why not every driver purchases it. On the other hand, third party liability insurance is the most basic one. It is cheaper and covers only the expenses of third party that gets affected due to your negligence. 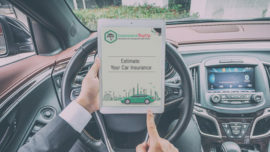 You may enjoy further add-ons to your premium policy after paying some extra Dirhams, depending upon the policies of your motor insurance company in Dubai. Do not let yourself handle the matter alone. You may consult a financial advisor to guide you choosing the best car insurance in UAE according to your budget. Through this, you may find out the best insurance company to rely on. Driving safe never goes unrewarded especially in UAE when you own a car insurance policy. If a person does not claim for his policy in a few years, he is rewarded with certain discounts. The discount can be from 0 to 40% on their next premium, depending upon claim history of the driver. There is a plenty of car insurance companies in Dubai. Never ever stick to the one whom you approach as your first visit. Make sure to visit at least 3 to 4 insurance companies and keenly understand their policies, the additional benefits and further details. Do not randomly pick any insurance provider to avoid any disaster later. You can always rely on Insurance TopUp to provide you an accurate car insurance comparison in UAE. To get Online Cheap Car Insurance Quote in Dubai, contact us at +971 65661505 or WhatsApp 056-5543022. Your safety is in your hands. Even if you opt for the most expensive car insurance policy, you cannot compensate the health loss. Although the medical expenses get covered under comprehensive insurance but an injury that causes you to lose your original working capacity worth nothing in the world. Do not drive under the Alcohol influence or any other distraction. Keep your eyes on the road and enjoy a safe driving experience. How to Estimate the Cost of Car Insurance in UAE? After an Accident How to Make a Car Insurance Claim in UAE? 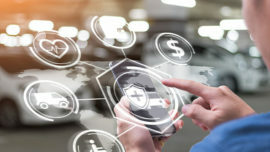 INSURANCE TopUp is a technology platform, where we able to streamline the auto insurance policy process to easy and we help our clients to understand, their policy. We're partner with leading UAE insurance companies.